Vigilance is a good read but there’s not near as much as action in it as there was in Resilience. Instead, it has a lot of suspense, and the action is at the end. It is 2 years after book #1. Regina and Wendy have learned enough that their teacher, Mo-Mere, thinks they’re ready to go to University on the other side of the wall. Regina makes new friends and new enemies in the Federation. She also finds out that life in the Federation isn’t any better than life in the swamp, at least not for those who are Working Stiffs. She feels all alone at first but eventually finds allies. Chief Inspector DeMarco, whose primary objective is supposed to be to find Regina and hand her over to the governor, continues to be full of surprises. 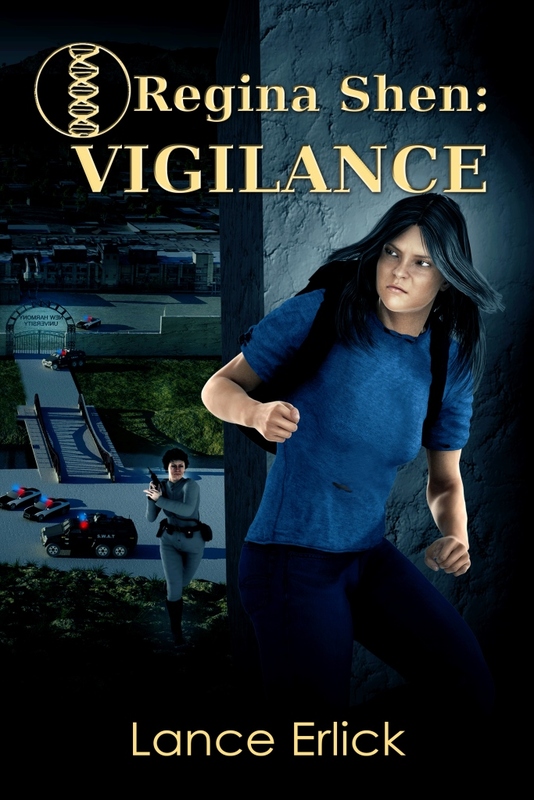 I liked Vigilance and anyone who likes science fiction and/or young adult books will enjoy it. I’m looking forward to the next book in the series. This entry was posted in Regina Shen Series, Science Fiction, Stories, Thrillers, Young Adult and tagged abrupt climate change, dystopian, review, sci fi, science fiction, suspense, thriller, young adult by flwq1578. Bookmark the permalink.